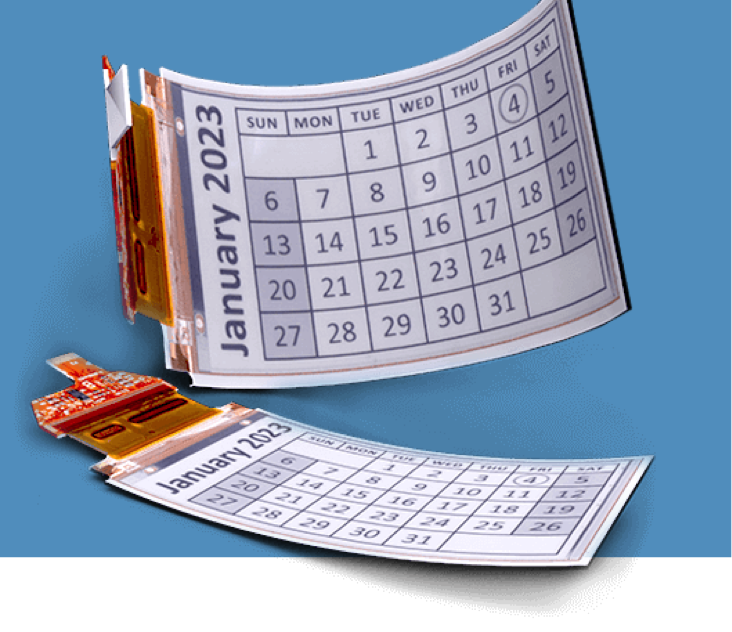 Plastic Logic Germany, a manufacturer of flexible displays established in November 2000 when it was spun out of Cambridge University has developed a process for printing organic thin film transistors (OTFTs) and wants to be a player in the emerging flexible and foldable display market. Plastic Logic’s original research focused on polymer dispersed liquid crystals (PDLC) on glass, as well as on transistor stability and new front planes, today Plastic Logic Germany has created an industrialized process that enables it to mass produce a glass-free backplane. The company produces transistor arrays on plastic and its active-matrix backplane consists of (OTFTs) on PET. This backplane when coupled with a flexible display medium, such as flexible OLED or EPD, can be used in flexible displays. The roots of Plastic Logic Germany were laid in May 2007 when it was decided to build a display factory in Dresden. The facility comprises of a 3800m² clean room area, for backplane processing and test and assembly processes as well as a pilot production line for large area, smart, flexible electronic applications on plastic substrates,” says the company’s CEO Tim Burne. We are the only company that has moved beyond the prototype stage in sheet-to-sheet manufacturing and begun the industrialization of flexible electronics in Europe.” Our Lectum displays are much more rugged than standard glass-based EPDs, as well as being lighter and thinner.” Today Plastic Logic is focused on markets that include payment cards looking to integrate a display into their credit cards and wearables. The company can currently supply 1.1” to 4” screens but can also supply displays up to 10.7” in diagonal. Further investment is planned at the plant with the aim of delivering larger screen sizes. Using OTFTs to drive OLED displays has been a long-term goal of Plastic Logic and its offspring FlexEnable. While they have been able to show some prototypes, commercialization has been elusive as the uniformity, reliability and mobility requirements to drive OLEDs have not been attainable using OTFTs.